This could be my new favorite slow cooker meal. I made Chicken Primavera in the slow cooker today for the first time. I didn’t follow a recipe, I looked in my fridge and pantry and threw together what I had. Part of being frugal is being creative in the kitchen and making do with what you have. My husband and son are always my guinea pigs when I try new recipes and this was a hit with both of them. Place bell peppers, onion, garlic, and mushrooms in slow cooker. Empty the cans of diced tomatoes and tomato sauce into slow cooker. Place chicken breasts on top of vegetables and tomato sauce. Evenly sprinkle italian dressing seasoning over the chicken. Put lid on slow cooker and set to low, cook for 6-8 hours. 7. Carefully remove chicken breasts from slow cooker and set aside. 8. 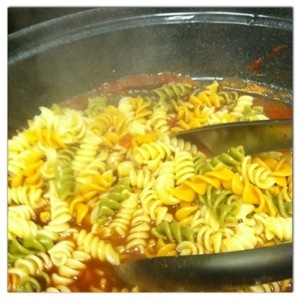 Add tomato paste and cooked pasta to sauce in slow cooker and stir. 9. 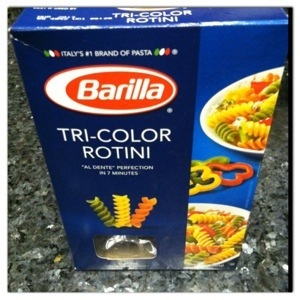 Serve in pasta bowl and garnish with parmesan cheese, fresh basil, and red pepper flakes. Enjoy! 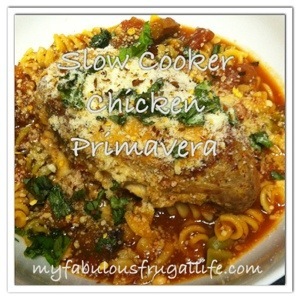 I will definitely be making this fabulous and frugal slow cooker meal again. 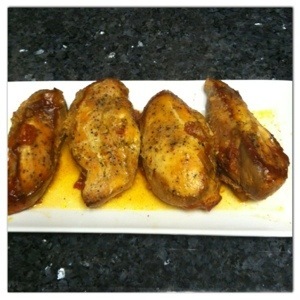 Check out my Pinterest board A working woman’s savior the slow cooker! 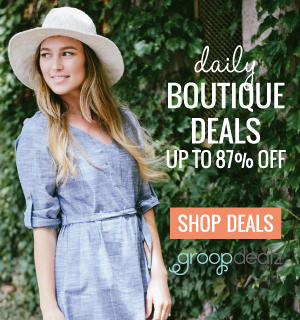 for more slow cooker recipes. This sounds delicious! 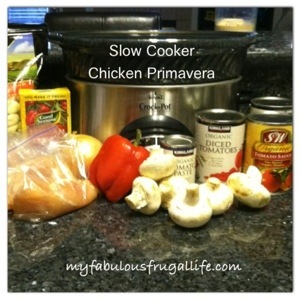 I never tried to use a slow cooker before but lately I keep hearing wonders about it!